Flex schedule durations, are they too long? 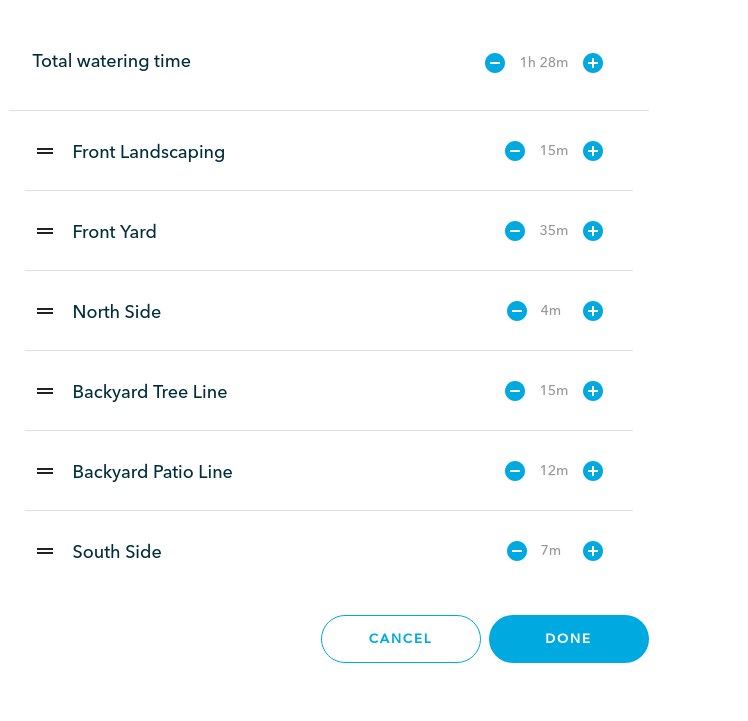 New irrigation and new to Rachio. I went the extra mile and did catch can tests on all my zones. Zones had between 6 and 12 cups depending on size. 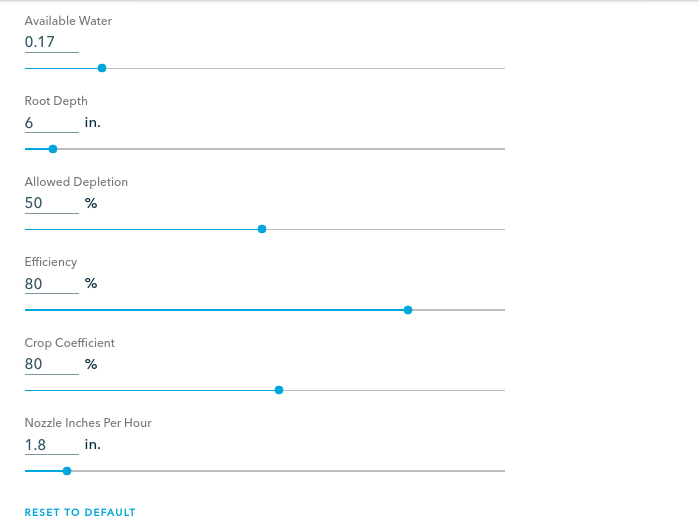 I threw out the highest and lowest cup then took an average of the remaining in/hr for each zone and entered that into the Rachio. When making a flex daily schedule my 6 zones want to run for 5 hours and 20 minutes. Some zones want to run for an hour and a half or more. Is this normal? Seems like a tooooon of water. 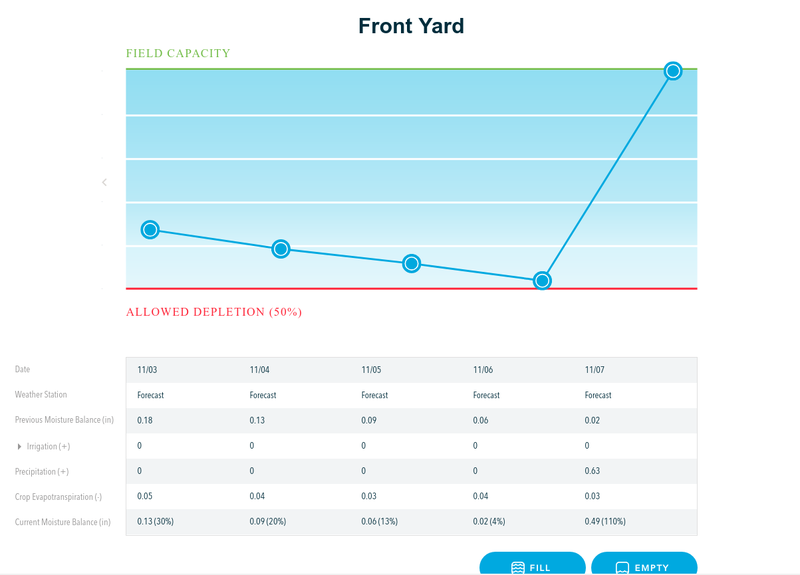 If those zone took that much my yard would be sopping wet for weeks. Photo attached, any help is appreciated. 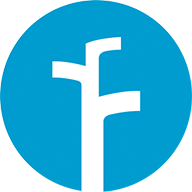 @RNadler Welcome to the community! I went the extra mile and did catch can tests on all my zones. 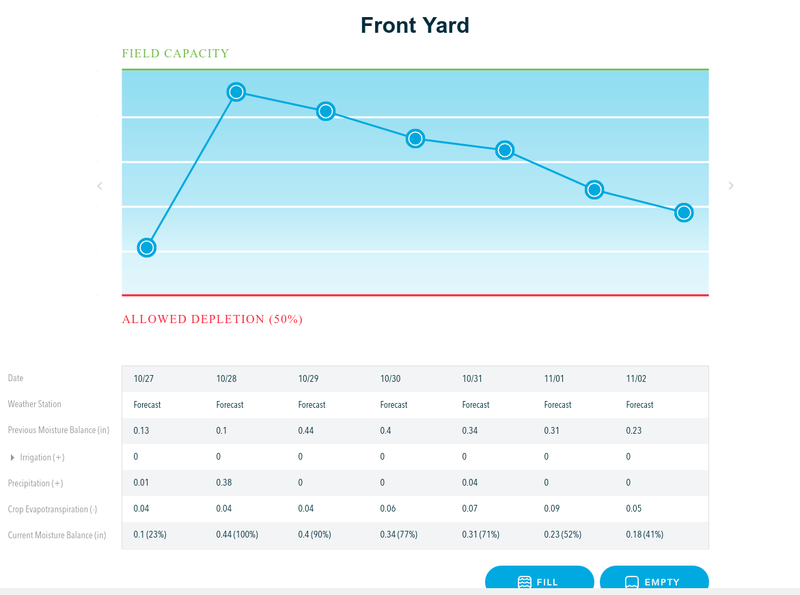 For flex daily schedules I recommended starting with one or two zones to start so you can dial those zones in and understand how the software works. Your zones look correctly setup. With a 1.8in/hr zone nozzle setup I can’t believe it was recommending an hour of watering? It should have been closer to 25 minutes. Looks like your durations are much lower now, maybe too low for flex scheduling if the goal is to water deep but infrequent. Something you can always change. The soil moisture graph for your zone looks correct, every couple weeks of watering due to very low evapotranspiration. Hi Franz, and thank you for the speedy reply. I did adjust the precip rates. I took 12 catch cups and placed time in each Zone then ran the zone for 15 minutes. At the end of the 15 minutes I recorded each cup in mL and then multiplied by 0.0038 to get inches (a formula I found online). I then multipled the inches by 4 to get in/hr. Once I had the in/hr of each cup I took and average or all 12 and that’s the number I entered in Rachio under nozzle inches per hour. Wouldn’t this be a better figure for the Rachio to work off of?? And I did mess around with the water calculator you linked me too, but I couldn’t find a way for it to figure in/hr, so I resorted to doing the math myself. I will however go back and plug the numbers in to see what it says. Also, I did manually drop the watering durations down for now. The growing season has pretty much stopped here but my goal the last few weeks was to get the system dialed in so it’s ready to roll in the Spring. 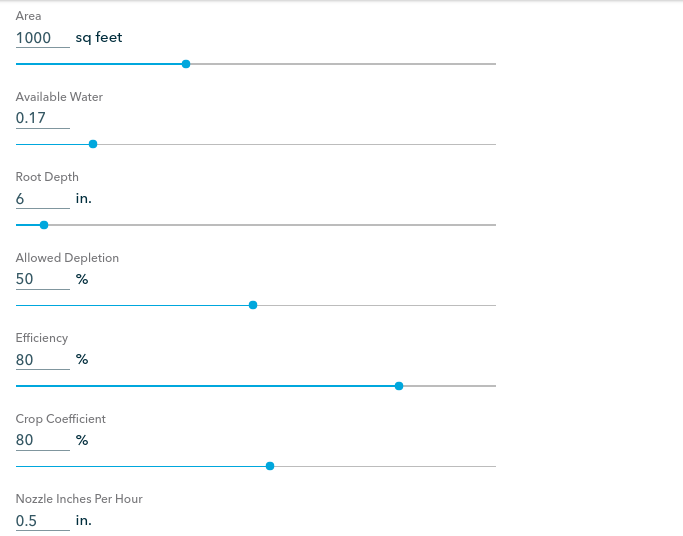 I understand the concept behind deep watering and how the Rachio uses all the inputs to create the schedule but was mind blown with the initial watering durations. I thought by doing the catch cup test my duration would slim down, but it honestly stayed right about the same when compared to the default settings. Maybe there’s still something I’m missing? I’m pretty confident in my in/hr calculations, but I will double check them just incase. I think what might have happened is the schedule was created with durations before the zone characteristics were fully updated? I tried similar (I think the zone characteristics were close or the same to yours) and got 19 minute recommended runtime which is exactly what I would have expected. Can you try taking one of the zones out of the flex schedule and create a new flex schedule with that zone? 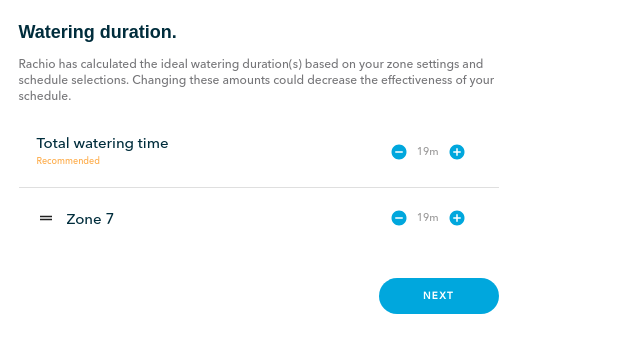 I also tried updating the zone nozzle to 0.5in/hr after the schedule was created, went back to the schedule and the zone duration is now 1 hour and 10 minutes which accurately reflects the zone nozzle change. Zone now updated to lower in/hr. Though the times are long for deep watering, it will skip many allowable days and probably only water once per week for a zone or less. I think what might have happened is the schedule was created with durations before the zone characteristics were fully updated? Or are the zones with long run times showing cycle soak time due to the PR being much higher than other zones?